One of the best aspects of being in Oxford is the calibre of the speakers who pass through. This post is a brief discussion of my favourite talk so far. 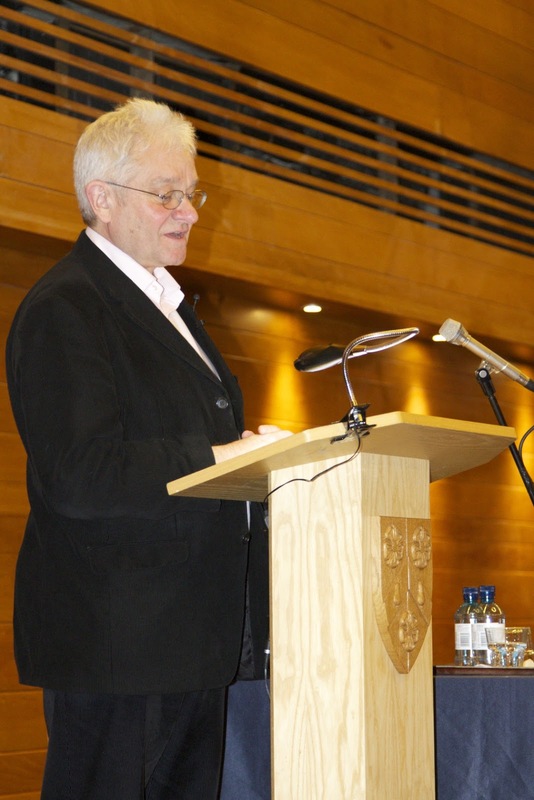 On Valentine’s Day my wife and I went to listen to Professor Sir Paul Nurse give a talk entitled “Making Science Work”. An ambitious title, but I think once you’ve won a Nobel prize, been knighted, awarded the Legion d’Honneur, the Copley Medal, and elected as a Foreign Honorary Member of the American Academy of Arts and Sciences, you’ve earned the right to talk about pretty much whatever takes your fancy. He spoke about two main areas: funding and communication. I think he raised some very interesting and slightly provocative points, some of which I’d like to share with you. I started writing this as a faithful reproduction of his speech, but kept wanting to add my own comments. The end result follows the outline of Sir Paul’s speech, but contains some of my own thoughts. Sir Paul spoke very well, and I highly recommend watching this footage of him delivering a similar speech in New Zealand in January. How does Sir Paul think that science should be supported? The answer is simple: fund good scientists. He suggests that we achieve this by emphasising the importance of recent scientific work overwell written grant proposals. Funding people who can write fabulous grant proposals is not the same as funding good scientists. Nobody would ever get a job without a face-to-face interview. Why shouldn’t funding work on a similar principle? Sir Paul was very blunt: it is much easier for someone to sound good on paper than in an interview if they don’t know what they are talking about. There are obviously some complications. Early career scientists, or those who have taken time away from science will not have arecent history of quality publications. Secondly, deciding what constitutes “good science” is not trivial. It will also be difficult to sell an increase in the cost of funding science when efficiency is so highly valued. I’m not going to pretend to know how to improve a system that I’ve never experienced. But I will say that before the Rhodes Trustdecided to invest a substantial amount of money in me, I had to work fairly hard to justify their decision; a written application, a dinner reception with the panel (that bit was actually a lot of fun) and an in-depth interview. I can’t think of a single good reason why the process for obtaining millions in governmentfunding should be less rigorous. Now that we’ve worked out how to fund good science, we need to use that knowledge. Ultimately this means using it to inform public policy. But science is hard. It takes a long time to obtain the knowledge to understand cutting edge research. As Sir Paul said, it’s not reasonable to expect everyoneto be that well informed about everything. You can probably guess the take home message; scientists need to be actively involved incommunicating the results of their work. Advice needs to be based on the consensus view of experts in the area. It should explain conflicting ideas and hypotheses. The advice must also be based on peer-reviewed work. When communicating with the public the most troublesome aspect of scientific results is uncertainty. This is especially true for areas that are not yet well established; like climate change used to be. Scientists deal with uncertainty in results everyday, but the public don’t. Sir Paul’s main point was that this often leads to scientists being unwilling, or unable, to explain their work. Scientists understand that early results may change; that initial estimates might be wrong. The public generally don’t. Most people’s exposure to science comes from school; where they learnt theories that have been well established for at least one hundred years. This means that scientists are often unwilling risk the public ridiculeof being seen to be wrong. The lack of good scientific advice leaves space for opinions to be presented as fact. Unfortunately, Sir Paul was a bit quiet on how exactly we can address this; save for his insistence that scientists engage more with the public. In the final part of his speech, he gave some anecdotal examples of areas in which scientists had failed at communicating their work. The one that stuck with me was genetically modified food. One anti-GM protester stated that she was against GM food because she ‘didn’t want to eat food with genes in it’, unaware that all plants and animals contain genes. This level of knowledge makes it difficult for scientists to discuss their work. It’s not enough to assume that people will be able to work out the right answer for themselves. Scientists have an obligation to explain their work and to do it in a way that everyone can understand. It isn’t easy, but it is worthwhile.